No Fenders -Formula 1, IndyCar and A Whole lot more..: Without Science, there would be No Formula 1! Forgive me for stating the obvious, but; isn't it ironic that whilst McLaren and Red Bull squabble over the services of Aerodynamicist DanFallows and thee "Gawdfather 'O Aerodynamics" Adrian Newey feverishly works away to attempt pulling back the lost deficiencies of his RB10, the title above's thought's sprang into mind when viewing a very enjoyable movie about science no less! 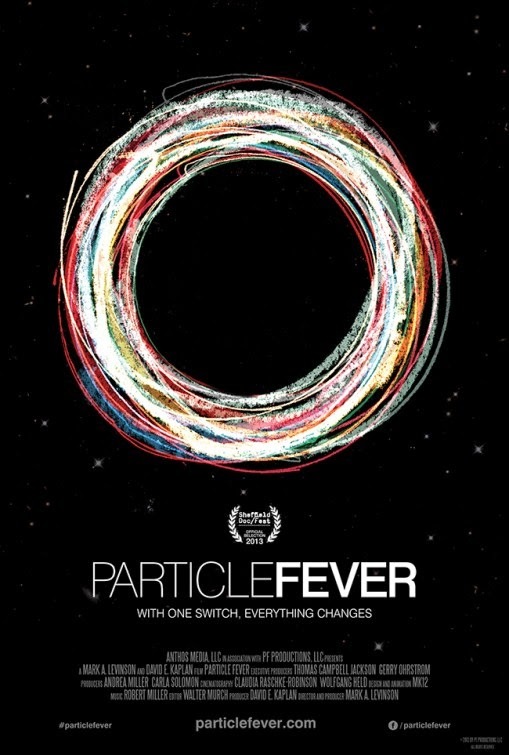 The movie in Questione is called Particle Fever and documents the trials 'N tribulations of the Large Hadron Collider, more commonly known as the LHC which is buried underground near Geneva, Switzerland. The LHC is the world's largest Particle accelerator collider, a staggering 27+ kilometers (17-mile) looped ring encapsulating numerous seven-ton liquid cooled magnets utilized to focus protons to race around in opposite directions before smashing into each other in order to hopefully duplicate the Big Bang theory! The movie is a brilliant production which not only focuses upon the scientific side, but the human side - chronicling just a handful of personalities involved in the mammoth project which had 10,000 participants, along with the world's largest linked computer system for data analysis at 170-stations in 36-countries. As the scientists, which are broken into two main groups, the Theorist's and the Experimentalist's are keen to see if they can confirm the Higgs particle, referred as the Higgs boson, a theoretical "Dark" mass hypotheses a half century ago! The documentary film runs 99mins and was released on March 5, 2014 and I highly recommend seeing it, since after all, without science, and more notably mathematics, as there's several scenes of lab coated Physicists smacking chalk upon blackboard writing elaborate equations, we wouldn't have today's modern era Formula 1 or motor racing in general! As I learned a new science term from the movie, known as GeV, which is a scientific measurement of electron volts, as I won't try explaining I-T any further! Just look it up if you're curious.